WeChat is expected become much more than a social media app. WeChat’s monthly users passed 1 billion in February, marking a major milestone for the Chinese social media app. Numbers were boosted by the Chinese Lunar New Year, when millions of users sent each other digital red packets to celebrate the tradition of hongbao – giving money to family and friends in a red envelope. 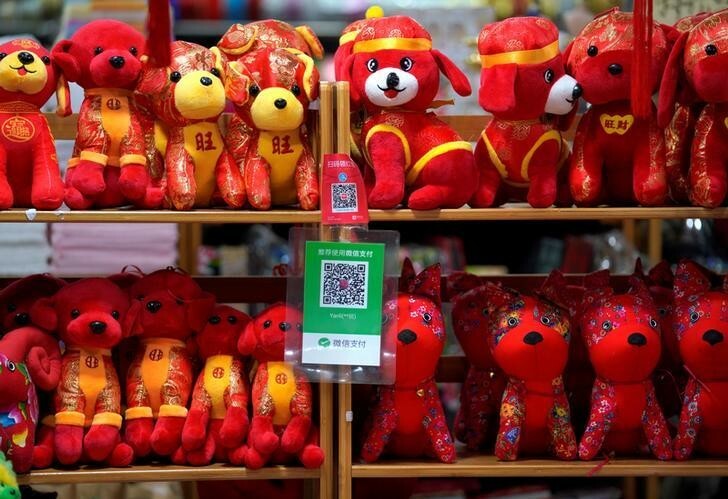 The mascots for WeChat displayed inside a Tencent office in Guangzhou, China. 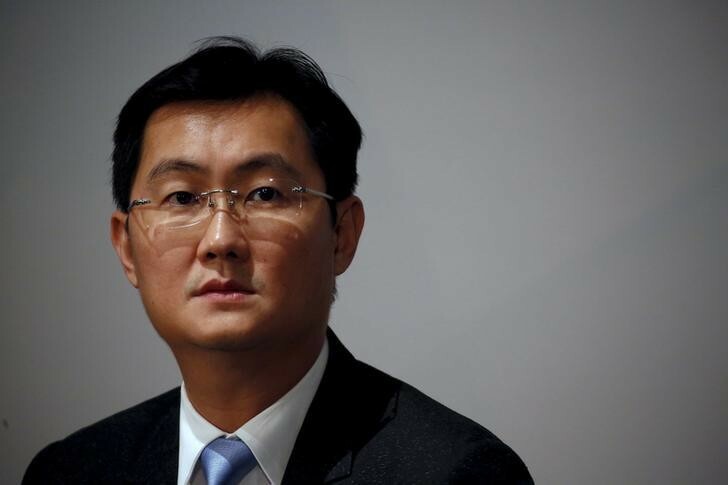 The app was launched in 2011 by Tencent, the Chinese internet company co-founded in 1998 by chairman and CEO Ma Huateng (also known as Pony Ma). Tencent’s 2017 third quarter results put user numbers at 980 million. The latest figures represented a “remarkable number” Ma said when he disclosed the figure at a recent media briefing. WeChat began life as a messaging platform similar to WhatsApp, but now does much more. As well as being a social network, it also allows users to shop online, book taxis, make restaurant reservations and order food through its mobile payment system WeChat Pay. Chinese consumers increasingly prefer to use mobile payment methods, and We Chat Pay is one of the most popular. China’s e-commerce market is booming, with high double-digit growth year on year. A record US$12.8 trillion in mobile transactions were made last year, turning Chinese cities into the “closest to cashless consumer economies”. 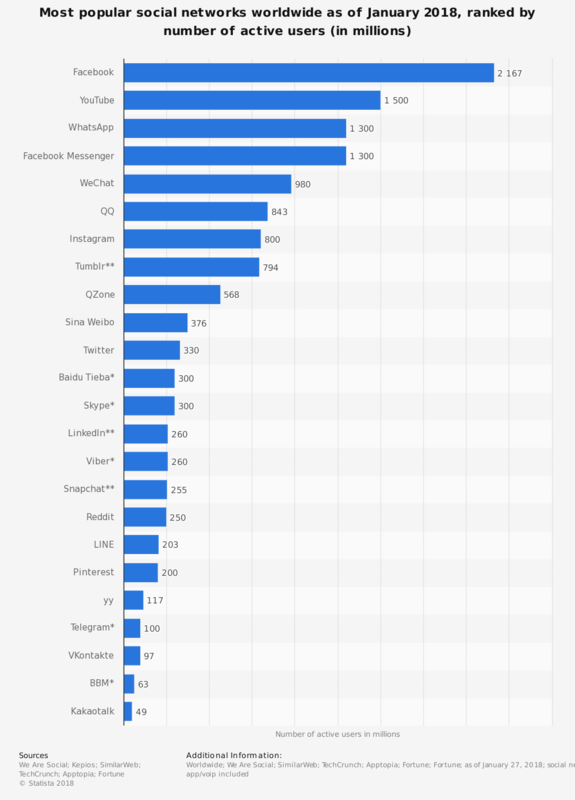 WeChat is the fifth most popular network worldwide ranking only after US tech giant platforms, Facebook, YouTube, WhatsApp and Facebook Messenger. Although Facebook is in the lead, users spend more time on WeChat than on Facebook, Instagram, Snapchat and Twitter put together. More than one-third spend in excess of four hours a day on the service. By comparison, users spend an average of just 22 minutes a day on Facebook. WeChat is also China’s top online video platform in terms of mobile daily active users and subscriptions. 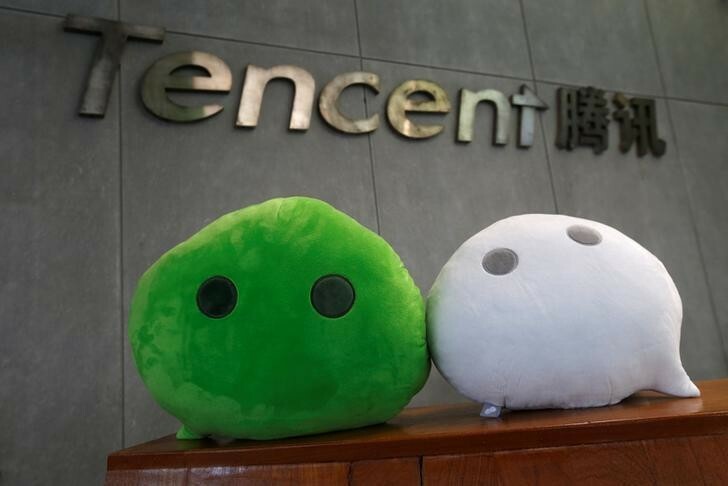 Tencent, WeChat’s parent company, owns or has stakes in some of the world’s most popular video games, including League of Legends, Call of Duty and World of Warcraft. Its game Honour of Kings was the world’s top-earning mobile game in the first quarter of 2017. WeChat doesn’t need to compete with foreign social media or messaging apps because access to Facebook, Whatsapp, Twitter, Instagram and Snapchat is restricted in China. Although the US government asks tech companies for data, these requests aren't disclosed. WeChat, however, like other Chinese social media platforms, is required to share private user information with authorities and to censor messages. China has also tightened rules on WeChat groups by making group administrators responsible for members’ comments. Citizen Lab, a research group from the University of Toronto, studied how censorship works on WeChat. It found that people’s chats may be censored without them ever being aware as WeChat automatically blocks politically sensitive words and phrases. Given that WeChat users are required to use their real names when they register on the app, the Chinese government is considering using the platform to create electronic state-issued ID cards. A pilot programme is currently underway in Guangzhou. The move would mean WeChat would play an even bigger role in the lives of Chinese people. China’s e-commerce explosion. What can we learn?